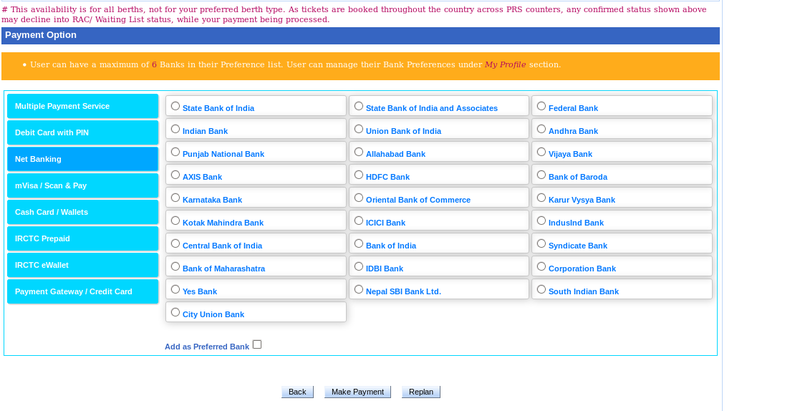 IRCTC accept payment via net banking or wallets like Paytm, mobiqwik,etc. I booked a ticket from Chennai to Tanur ( Place doesn't matter). 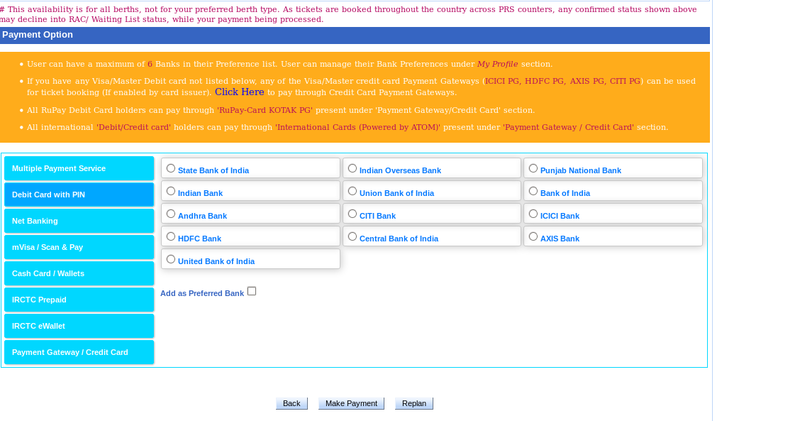 Then in the payment screen, wallets are there and also net banking is there but I didn't enabled it with my bank yet. Also no direct credit/debit card option is there. So, I choose paytm, paid cash and confirmed the reservation. But after sometime, I got a message form paytm that Ticket booking failed, cash is refunded. It may take upto 7 working days for your bank to accept refund. Possibly, you are using the first option "Multiple Payment Services", which has the PayTM option which is causing you problems. In case of problems, you can contact IRCTC by e-mail. Not the answer you're looking for? Browse other questions tagged trains bookings indian-railways irctc or ask your own question.